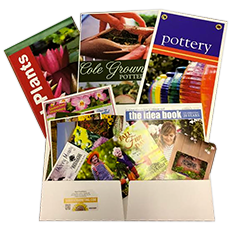 Proven Winners® will be working with Sunrise Marketing in the deployment of 30 dedicated Proven Winners® beacons in select garden center displays, public gardens and commercial plantings. These beacons, which are low energy bluetooth devices, work in conjunction with the Sunrise Marketing epunched customer loyalty app platform. The beacons trigger actions within the app such as messages, instant incentives, URL links and in the case of Proven Winners® a product video. 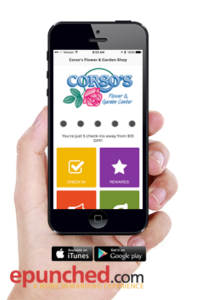 The beacons utilize Apple’s iBeacon technology to connect with garden center branded apps installed on Apple and Android smart phones and tablets. The Proven Winners® beacons will feature a short video providing instructions on how to create the perfect container garden. The beacons will be placed in designated Proven Winners® display areas at the discretion of the participating retailers. This represents a unique opportunity for a prominent brand like Proven Winners® to put a dynamically changing message in front of consumers at the time of purchase. Since each connection between a beacon and an app user creates a unique data point results can be measured location by location, creating quantifiable results. Additionally, these weather proof ‘tough’ beacons can also be placed in planters and in display gardens. A visual prompt will be necessary to instruct users to open the app to load the video. Beacons have an effective range from a few inches to up to 200 feet. They have three ranges, immediate (2 to 12 inches), near (up to 8 to 10 feet away) and far (up to 200 feet away). The beacons used in the test displays will be set to ‘near’ range, while beacons placed in large open areas will be set to far. In addition to the beacon placements, a Proven Winners® ’tile’ will be added to the retailer’s branded app allowing users to access either the same video message or a companion marketing message, again, extending the partnership between Proven Winners® and independent garden centers. Initially these beacons will be made available to existing epunched customers at the expense of Proven Winners® and Sunrise Marketing. Proven Winners® plans on working with these retailers to test and trial different messages and incentives. Sunrise Marketing will be working with at least three or four retailers who are looking to place beacons in commercial and municipal plantings. This extends the reach for both the garden center and for brands like Proven Winners® as beacons can be placed safely out of doors. For more information about this technology and its practical application check out this blog post. Interested retailers should contact Sunrise Marketing on how to put this cutting edge technology to work in your garden center and local market. Please contact us by email, or call 888-393-4443.